As soon as I saw the inspiration picture for this month, I knew I wanted to use thread in my earrings. My two ideas were making tassels or wrapping thread around hoops. 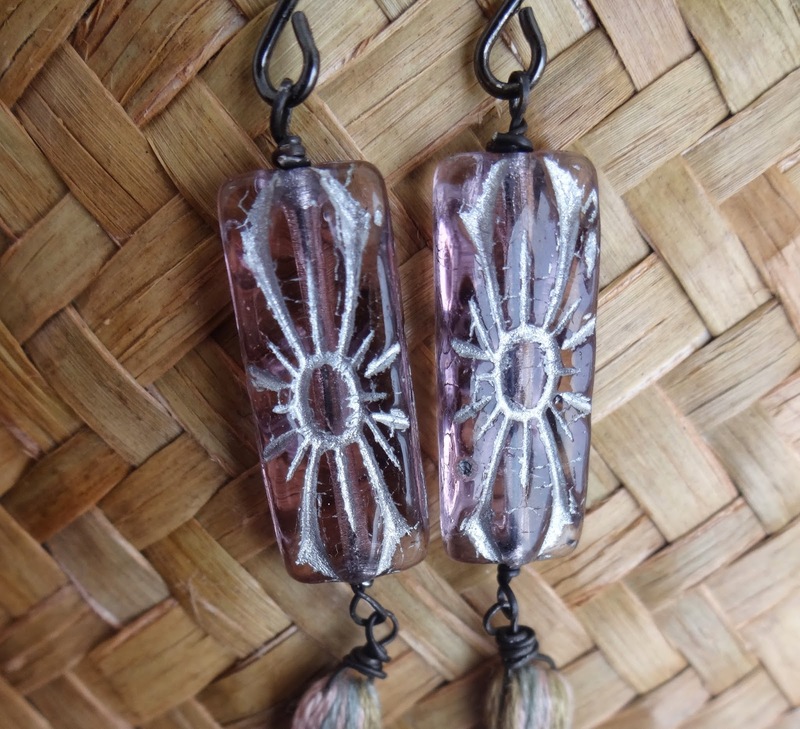 Both ideas centered around the rectangular, pressed glass flower beads I got last week. 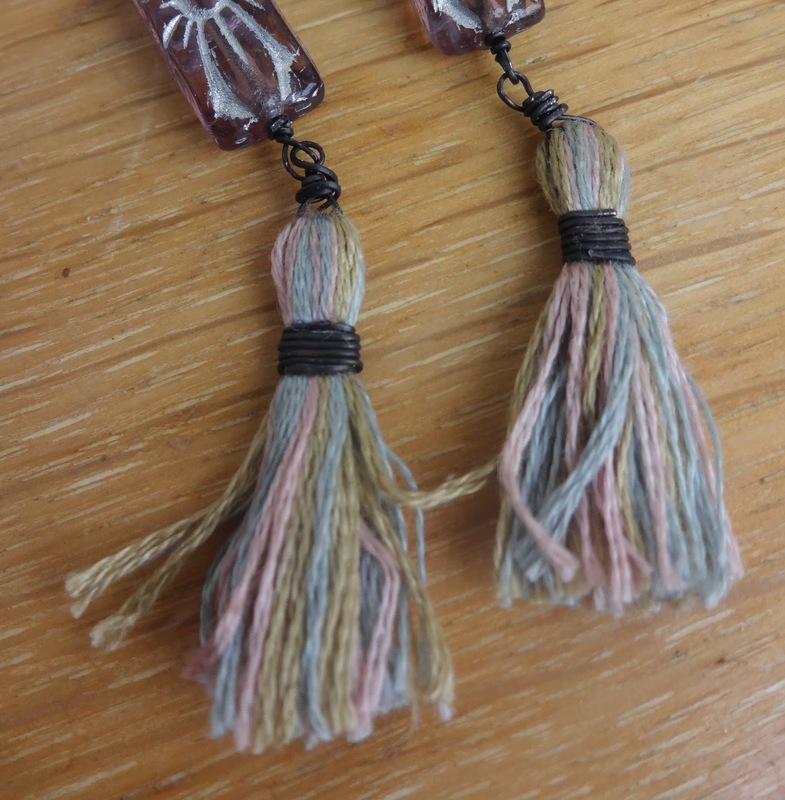 Since I'd never made any, I thought I would try tassels. I still want to try the others with hoops but need to get more of the flower beads or find some similar shaped ones in my bead hoard stash. Here's what I ended up with after I added the beads to the tassels. and the thread colors of the tassels draw from the embroidery. I really like how they swing and I'll definitely make more in some different colors. Here's the Earrings Everyday reveal post with everyone's creations! I adore your design and thought process. Thanks for the nice comments on the ones I made...you totally figured out the points I took from the illustration! If all goes well I hope to see you in next month's challenge. Thank you. 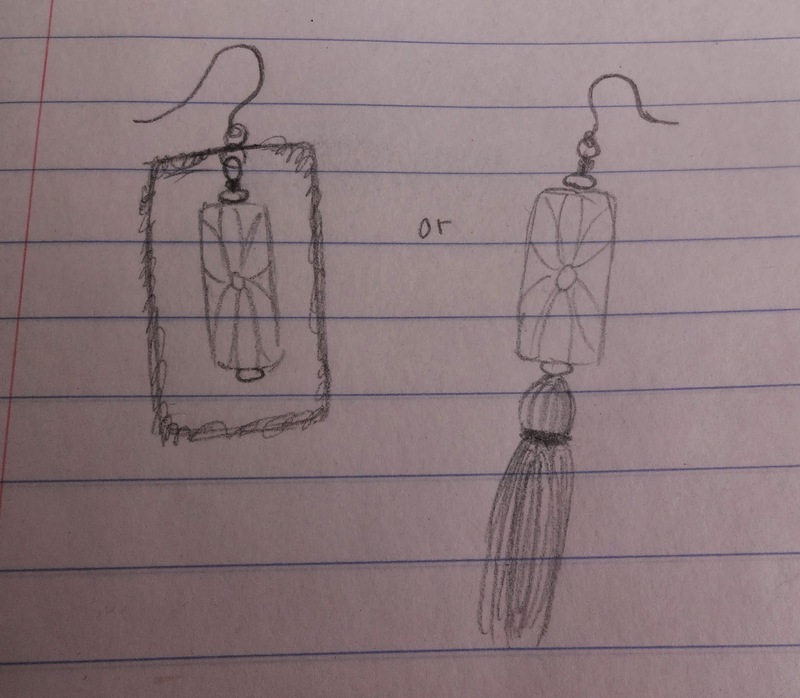 I enjoy seeing everyone's thought process of illustration to earrings, too. Thank you, I love their movement, too. 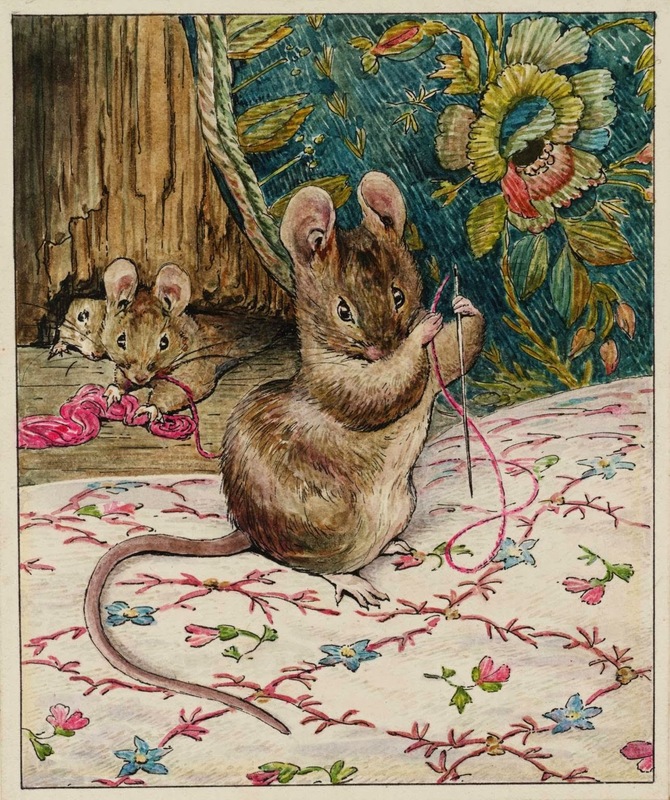 Great connection with the painting through your use of threads! Fun earrings! Those pastel tassels are just perfect! I love the softness of the tassels. Lovely earrings! Thanks! 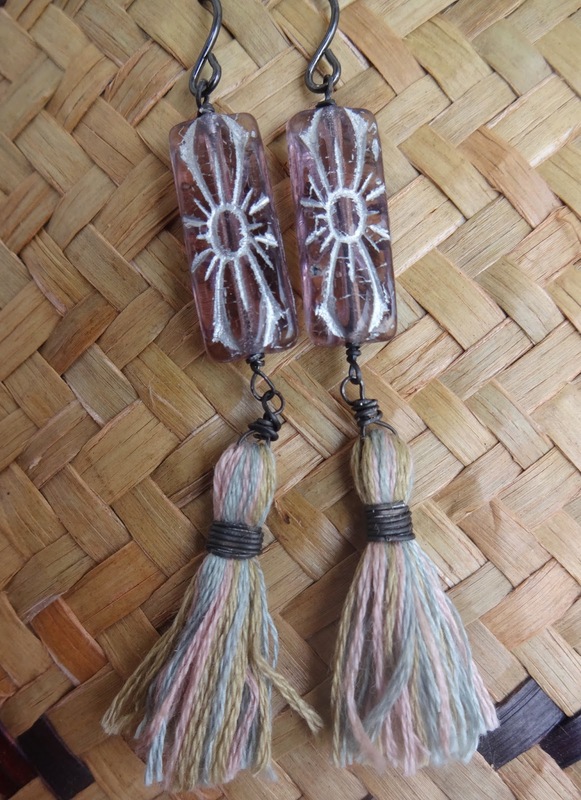 The softness and pastels made for a great pair of spring earrings. The tassels are perfect! Great design. I love your thought process, too! !